Get precision movement and smooth scrolling with the CiT M602U optical mouse, making it ideal for much of your computing needs. Thanks to its comfortable and contoured design, it can be used in your left or right hand. Light and portable ideal for laptop use as well. The tracking engine also means that the mouse works on most surfaces, including plastic, wood, etc. With plug and play technology, the mouse is easy to use. All you have to do is plug the mouse into any available USB port on your computer, PC or laptop and once your computer installs the drivers, it's ready to use. 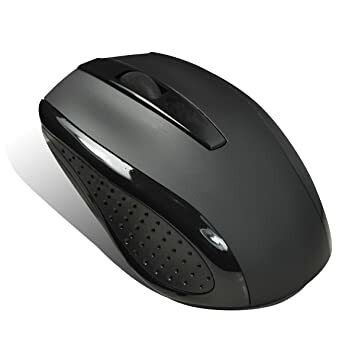 The mouse is compatible with all versions of Windows, Linux and Mac OSX. For peace of mind, there's a 1-year manufacturer's warranty.